A printable activity you can do with your students. 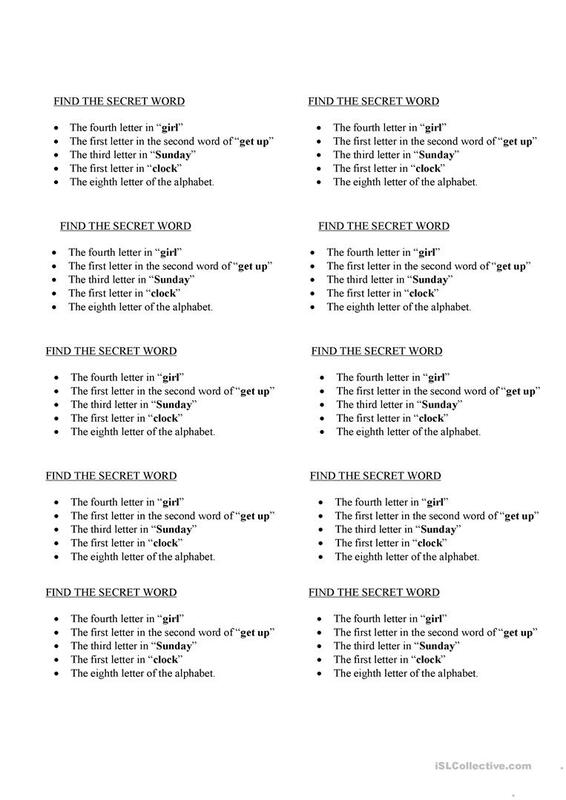 Students have to find the secret word. When they are tirted or the bell is near you can do this. My students love it. The present downloadable worksheet was created for high school students, elementary school students and adults at Elementary (A1), Pre-intermediate (A2) and Intermediate (B1) level. It was designed for enhancing your pupils' Reading skills. HFFK is from/lives in Argentina and has been a member of iSLCollective since 2012-03-23 03:37:12. HFFK last logged in on 2019-04-14 17:13:51, and has shared 23 resources on iSLCollective so far.